Peter Sefton is having an open day, so why not visit his workshop to find out more about his school and the courses on offer. Over 150 visitors from around the country had a fabulous day last year and Peter would love to see many more familiar and new faces again this year. There will be trade stands where you can get expert advice on buying tools, veneers, those elusive small quantities of timber and even machinery. 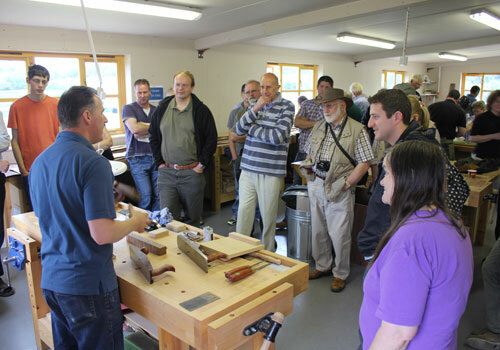 Plus, the school is also offering its open day visitors the chance to win the fantastic prize of a short woodworking or furniture making course of their choice, with the prize being drawn on the day.Â So look out for the competition coming up on this website soon.